As cold weather drains gas storage, Gazprom cranks up exports. 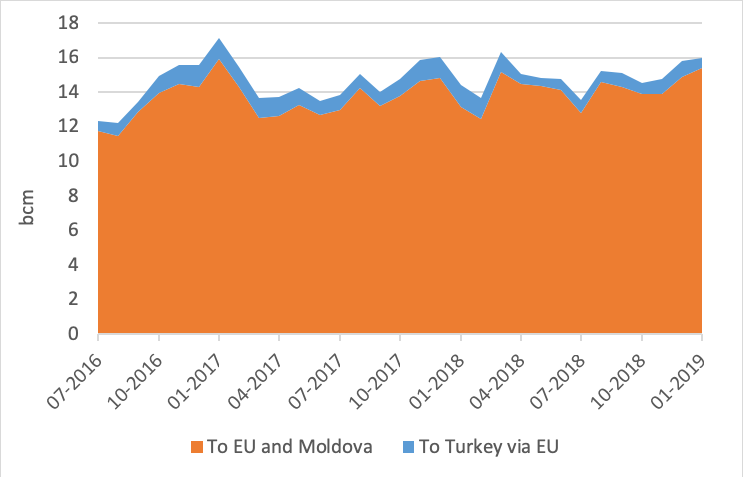 Russian gas exports to Europe were up massively (+17.1%) compared with Januarh 2018 and a more modest 3.5% compared with December. Those extra volumes were needed as European storage stocks were down 22bn m3 in January, compared with only 16bn m3 in January 2018. With high storage level at the end of December 2018, we are now just 49% full, and back into the historical five-year range for the period (from 42% in 2017 to 60% in 2014). 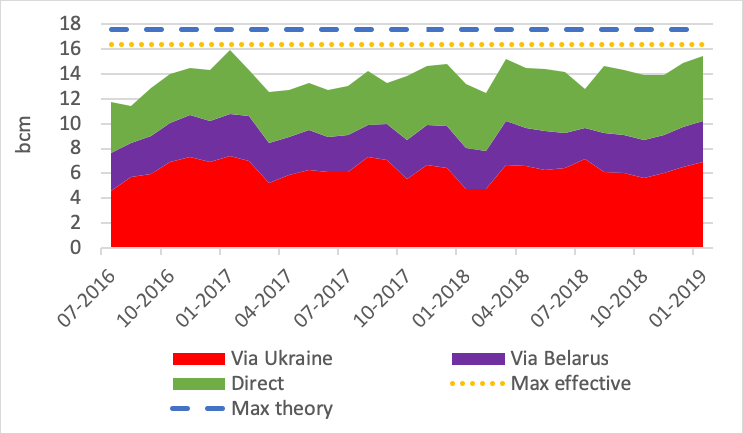 In January all routes witnessed an increase in flows (5.9% via Ukraine and 4.4% via Belarus) with the exception of Nord Stream (pictured), which was already at maximum. 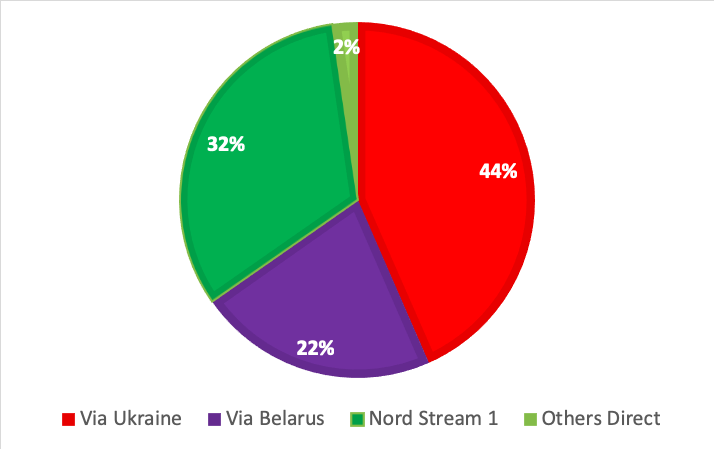 With a difference of 2.8bn m3/month between the maximum and minimum effective flows via Ukraine, this transit route is essential as it provides not only the highest share (44%) but also the most flexibility (in volume) to Gazprom’s exports.